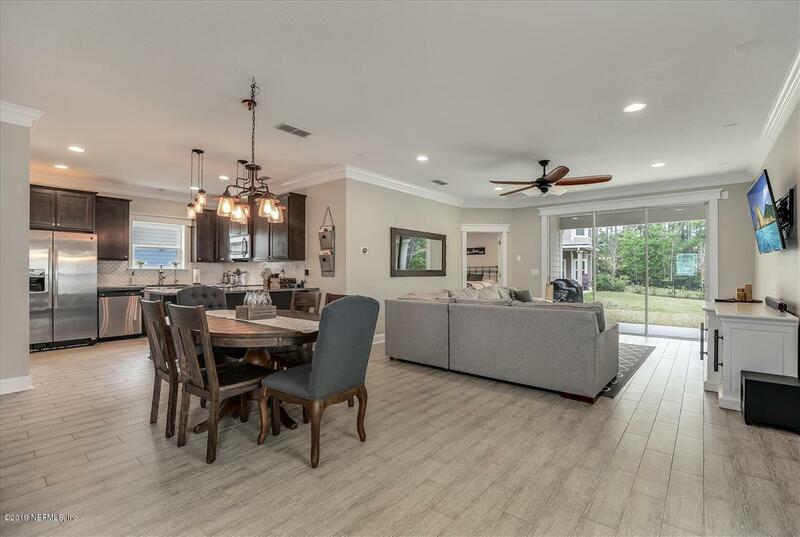 Conveniently located In St Johns County, this customized Stockton plan built with Advantech flooring and Zip System technology provides a great seal and superior stability backed with a 30 year panel warranty. 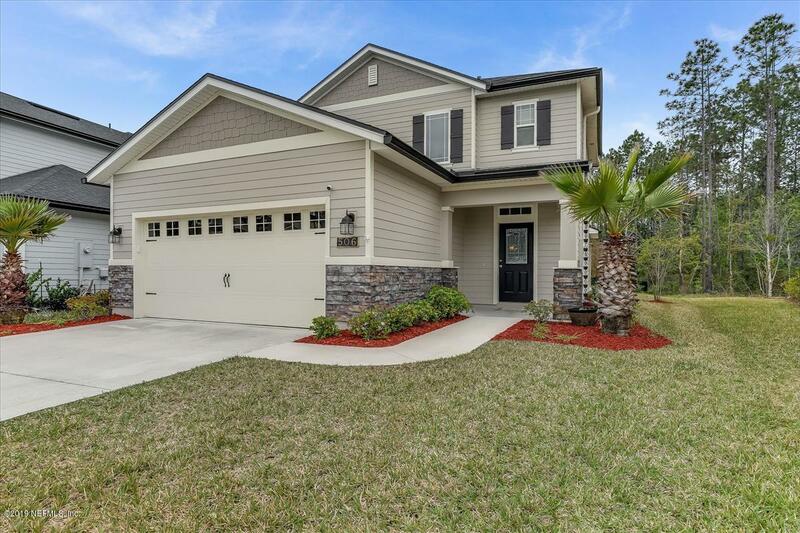 This beautiful two-story home features a 4br/2.5bath, with Master Suite downstairs, upstairs loft and 2-car garage. Enter into a spacious foyer that overlooks an elegant staircase, accompanied by iron spindles and oak wood treads. 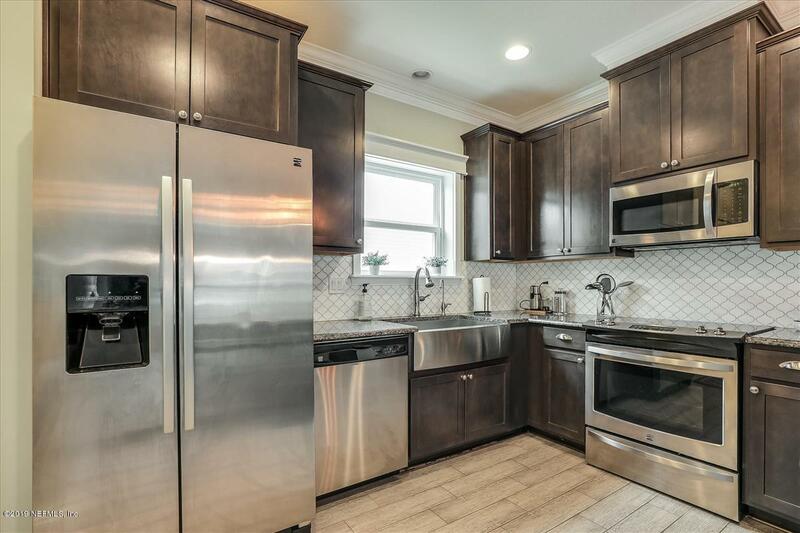 The gourmet kitchen includes a granite bar top and stainless steel appliances. This home also features a large 9' x 8' sliding glass door overlooking the covered Lanai. 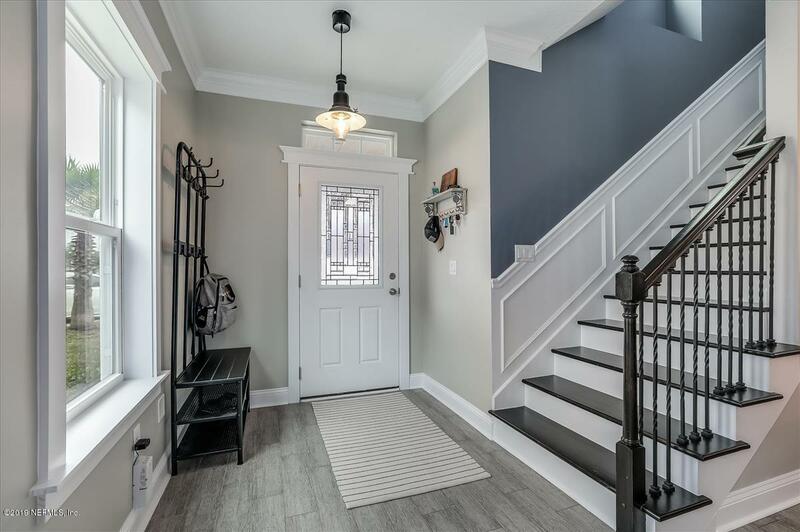 Not to be outdone by the rest of the home, the owner's bath is highlighted by raised vanities, cultured marble, tiled walk-in shower with framed glassenclosure, and large walk-in closets with plenty of room. All main areas including the Family Room, Cafe, Kitchen and hallways are covered with 18x18 tile.